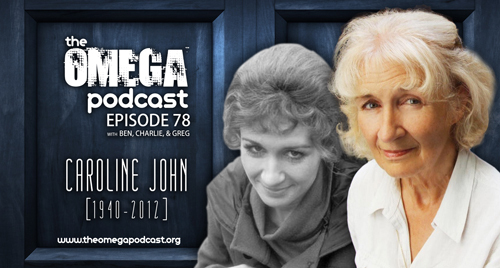 "This week Ben, Charlie, and Greg take some time to look back on Caroline John’s time on Doctor Who. Caroline John passed away on June 5th, 2012. They discuss her contribution to the series and how her character, Liz Shaw, helped to confidently push Doctor Who into the 1970s. As usual, there is news, feedback and lots of great discussion. Ben, Charlie and Greg also talk about the big upcoming convention in the Twin Cities, CONvergence." The article for All Creatures Great & Small will be posted on Sunday. Wooo - I got a mention on the podcast! I can has famous? You are as famous as I am. So, not very famous at all.